FORT LAUDERDALE, Fla. – The 9th Annual Community Care Plan Non-Profit Awards will celebrate the work of Broward County’s nonprofit agencies, and recognize the individual efforts of outstanding nonprofit executives and board leaders, with a glamorous awards ceremony, luncheon, red carpet and searchlights, Feb. 22 at 11 a.m. at Signature Grand in Davie. 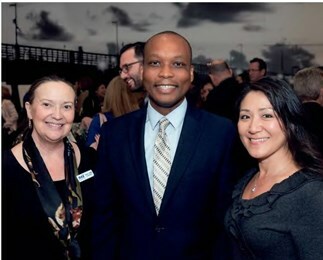 Finalists have been announced by 2-1-1 Broward, a nonprofit organization that provides 24-hour comprehensive helpline and support services to individuals and families seeking crisis intervention assistance and/or information and connections to health and human services in Broward County. Tickets are $100 per person for general admission, $85 for CLUB 2-1-1 members and $75 per person for nonprofit staff/government representatives. Table Sponsorships begin at $1,500. Partnership opportunities range from $1,500 to $10,000. Partnerships include unique sponsorships such as $5,000 Golden Statue Partner, $2,500 Lights! Camera! Action! Sponsor and others. For more information about purchasing tickets or sponsorship opportunities, contact Tracy Schuldiner at 954-390-0493 or tschuldiner@211-broward.org. The awards finalists were revealed Jan. 15 at an exclusive VIP Announcement Party at Dave & Buster’s in Hollywood. The organizers encourage every nonprofit to attend to celebrate the contributions to the community. Awards will be given in 10 categories, and all other nominees will be eligible for the Publix Community Choice Award.